The purchase of a home is the largest purchase most people make during their lifetime. 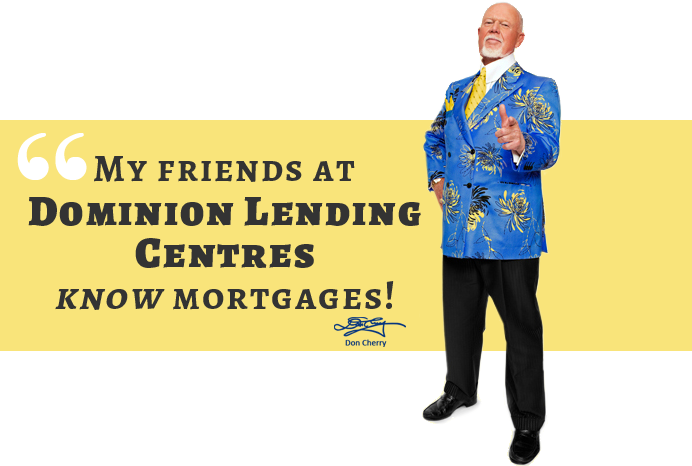 At Dominion Lending Centres, we want to make each and every purchaser aware of the many mortgage options available to them. We have received your request and will be in touch with you soon. The Dominion Mortgage Team was so great to work with because they answered all of my questions and explained the whole process to me. Awesome! We will definitely be back when it's time to re-mortgage or buy a new house. My agent was very understanding, approachable and listened to my needs and concerns and made very good suggestions. The mortgage process was the most stress free part of the whole purchase and move! We didn't feel like we were taken advantage of. We felt extremely comfortable; we also felt that we were top priority and everything was going to be done that would best meet our financial situation. Cash-Back mortgages have been a very large part of the housing market over the past few years as interest rates have been extremely low making the cash back a very affordable means of purchasing a home. Is A Cash-Back Mortgage Worth It? With a Cash-Back mortgage, the client receives a rebate on their mortgage at the time of closing of the mortgage. This rebate varies anywhere from 1% to 5% of the mortgage amount depending on the Bank and term chosen. The most common of the Cash-Back mortgages is the 5% Cash- Back featured by a few of the Canadian Chartered Banks. The money from a Cash-Back mortgage is especially handy for the first time buyer who needs extra funds to purchase home improvement items such as blinds, carpet, appliances, or even furniture. Thus, first time buyers are the number one consumer of Cash-Back mortgages in Canada. A few banks allow the Cash-Back to be used towards the down payment. It is important to remember that this rebate is never directly paid back to the Bank in the form of a loan. Instead the Bank increases the interest rate on the entire mortgage to recoup their costs. Why would I want a Cash-Back mortgage? You have saved up enough money to purchase your home, but may be a little short after the mortgage closes. The Cash-Back acts as a buffer to get you through the first couple months as a new home owner. You utilized the RRSP Home Buyers program and withdrew your down payment out of your RRSPs. Now you need money for legal fees and moving expenses. You received a gift from your family to put towards your down payment but want some money in order to feel more comfortable taking on this new liability. Why wouldn't I want a Cash-Back mortgage? Simply put, a Cash-Back mortgage usually costs you more in the end and Banks cannot offer their best rates on a Cash-Back mortgage due to them essentially lending you the money back and getting the money back in the form of a higher interest rate. The following chart will help explain the costs and benefits to a Cash-Back mortgage given the purchase of $100,000 home. *Rates used for example only (AOC). As you can see from the example above, a 3% Cash-Back on your $100,000 home purchase would give you a rebate of $2,943 and would cost you $4,252 over the life of the mortgage. Not exactly cheap, but well worth it if you won’t be able to afford basic necessities after you put a down payment on your new home and still easier than getting another loan. The Cash-Back portion will be clawed back (on a prorated basis) if you decide to pay off your mortgage, transfer it, or make a significant change to it within the first term of the mortgage (i.e., first 5 years). The remaining prorated Cash-Back amount could be charged back to the seller of a home if he offers his mortgage up for assumption.